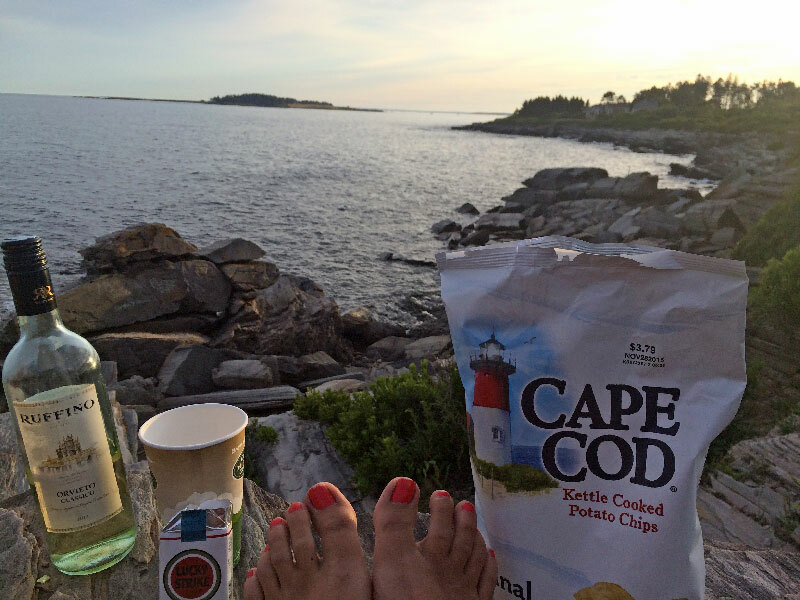 Foodie Getaway in Portland, Maine. | Everything Delicious. Foodie Getaway in Portland, Maine. If you are into lobster rolls, clam chowder, fresh fish or seafood of all sorts, a weekend getaway to Portland is the perfect foodie escape for you. Warning though – eating our in Portland is a sport. On our first night, we realized we were not the only foodies in town and should have made reservations. Everything was packed! We walked around for a bit and finally found a quite spot on the terrace of Street and Co. The interior of the restaurant is nice but the terrace setting in the alleyway is not that great. Most importantly though the food was well prepared and delicious (I had the scallops and my friend had the sole filet) yet quite over-priced in my opinion. On our 1st day, we explored Harpswell area also called Maine’s famous “finger” peninsulas up north from Portland. Great area to drive along the rocky coast and / or find a quite beach. 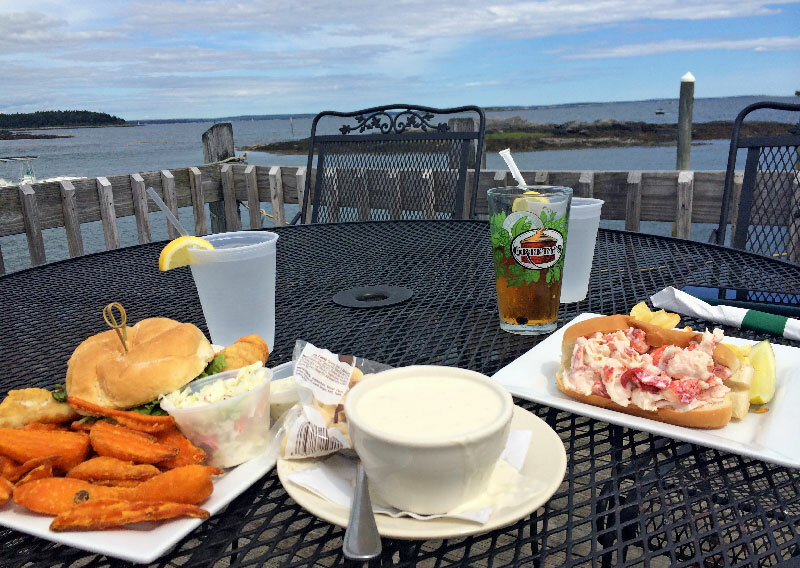 But the best part was finding the perfect lunch spot: Cooks Lobster House. Less crowded than its neighbour across the street (Morses Cribstone grill), Cooks Lobster has a great terrace overlooking the sea. Sitting there, facing the ocean, you will see nothing else than the boats coming back from their fishing trips loaded with fresh lobsters. That alone was fantastic, but on top of that, the food was good and affordable! We had the best chowder of our trip as well a really good fried haddock sandwich and a lobster roll. Back in town for our second dinner in Portland we settled for Italian at Ribollita. The restaurant is definitely not as happening or as fancy as many other tables in the city, but the food was really good. We tried the Gnocchi and greens and the Shrimps with angel hairs pasta and both were yummy so if you fancy a break from lobster rolls this is definitely a good option. On our last day, we went south of Portand to try out the famous lobster shack at Cape Elisabeth «Two lights ». After a Long queue (because this is apparently an institution), we got our chowder and fresh lobsters with garlic butter and fries. We sat on the terrace that was nice for sure but definitely not as cosy as the one from Cooks. Then the food didn’t compare either. The lobsters were good but the chowder was watery and the fries pretty average. To make up for a slightly disappointing meal, we found a spot to enjoy a picture-perfect « aperitif» on the beach. 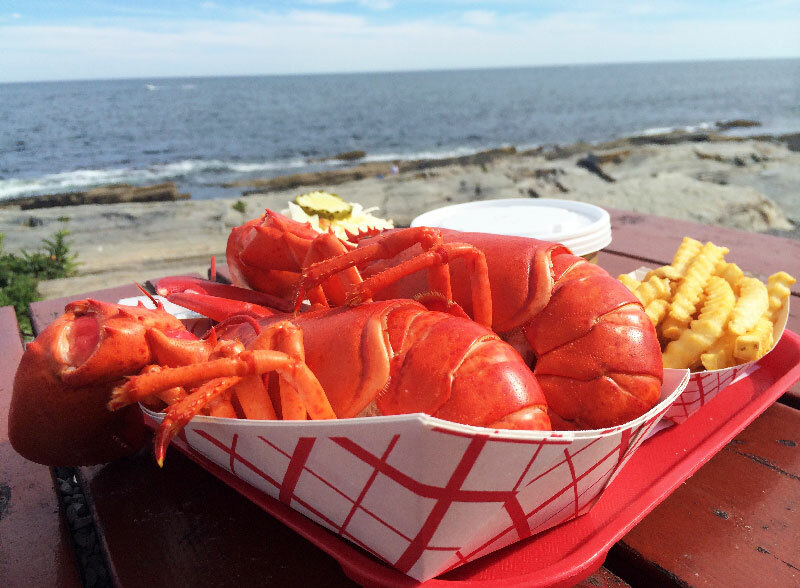 This entry was posted on September 8, 2015 by Pauline Rosen in News feed, Restaurant feed, Uncategorized and tagged chowder, fish, lobster, lobster shack, maine, portland, seafood, travel.